I'd like to thank Joseph Eastwood for being my guest today! Joseph and I are participating in the Tasha Turner Coaching Virtual Blog Tour, and we are only half way through, so I hope you continue to follow us for the rest of the tour. He didn’t even wait for self-control to kick in as he shoved his head into the water and started to lap it up, then whipping his head out and gasping for a breath. It had been a while; you could say that, since he’d had a drink of fresh water, but to his tongue, the water wasn’t at all fresh, it was stagnant. “Come, Christy!” He waved over at his friend behind him. 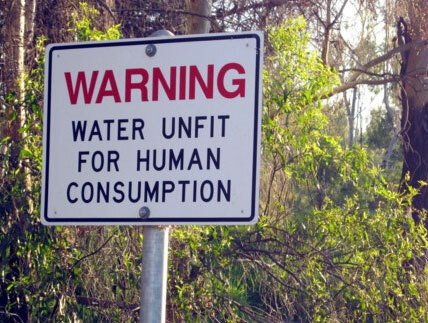 “I found—water,” he said between slurps. 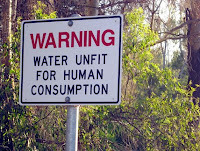 Christy glanced up at the sign above John, it read, ‘WARNING: Water unfit for human consumption’, she gasped and glanced back down at John, he’d opened up an empty bottle and started to fill it with the water. John didn’t stop, he didn’t even turn around to acknowledge that he’d heard her. He just licked his lips and then started to drink the water from the bottle. Christy brought a hand up to her face and touched her lips. They were hard and dry; she desperately needed water, and either way she was going to die, through dehydration, or what looks like poisonous water. “John,” she said, her voice strained and whiney. John turned around, the whites of his eyes were now red and as he wiped at them, tears poured down his cheeks. “I’m fine, just drink some water, it will make you feel all better,” he said, gritting his teeth and almost punching himself in his stomach at the pang of pain shooting upward through to his chest. “Oh, god. No! You can’t do this to me, everyone else has gone, you can’t leave me as well,” she said, kneeling beside him and looking into his eyes. “I’m not, I’m sorry Christy. I’m not going to die,” he said, the pupils in his eyes broke, and leaked open, turning his eyes black. He gripped Christy by the neck, and with a pop, he snapped her neck. Her head flopped into his hands and then her whole body fell limp over him. 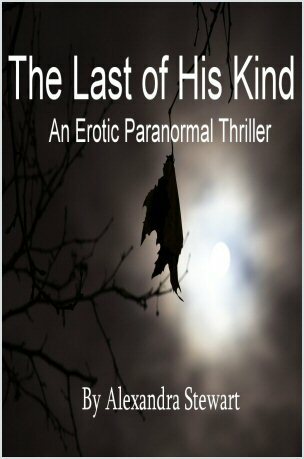 He tore at her skin, peeling pack until he was at the meat, and then he started to pull at the muscle, scoffing on her remains, just like he had with the rest of the group. Joseph Eastwood is the eldest of five siblings. He lives and grew up in Lancaster, England, where he also attends the University of Cumbria, studying English Literature and Creative Writing. Joseph is either busy doing edits and writing or trying to get some university work done. He lives for creativity, striving to be different and thinking up new hoops for his characters to jump through. 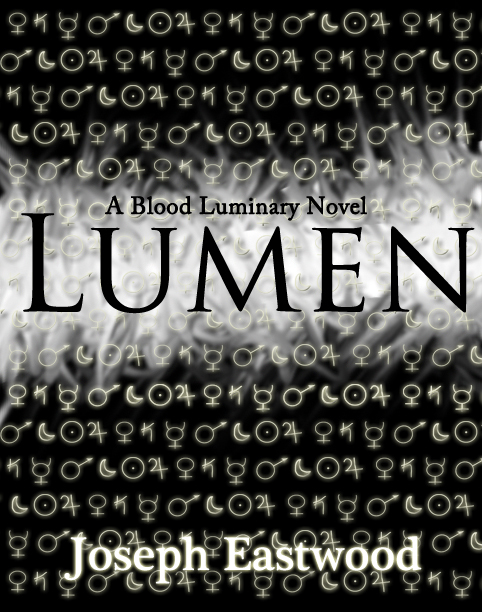 Lumen is the first in the four-part Blood Luminary series following the characters, Daniel Satoria, Jac Lister and Mia Crosgrove. 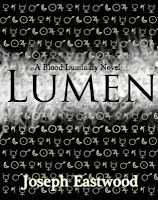 Daniel, like all other adolescents on Templar Island is going through the final transition that will allow him to manipulate the bonds of energy and do more than just tamper with his own biological form. After a near-death experience he is accepted into Croft's Academy, the only private school on the island and for someone like Daniel to gain access to such teaching is a privilege, and they won’t let him forget it. 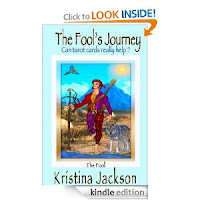 He tries to fit in, but that’s when things take a turn for the worst, and everything he once knew can’t be possible any more. He doesn't know who to trust or what to believe. This weekend I'm happy to be participating in the Naughty Nights Blog Hop being hosted by Naughty Nights Press (NNP) in celebration of their one year anniversary! From NNP- giving away 13 prizes, comprising of a Grand Prize 1 x Kindle Touch plus 2 ebooks from our Amazon back-list. We are also giving away 12 Second place prizes of a randomly chosen ebook from our Amazon back-list. 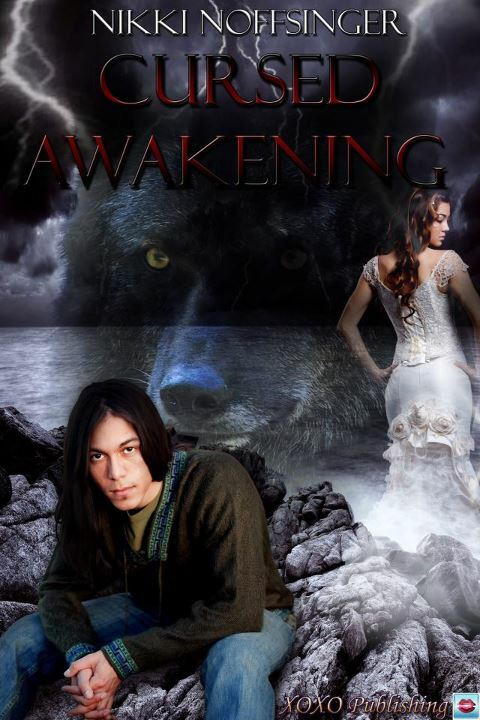 From myself-one e-book from my backlist (Five books in Devon Falls series-paranormal M/F; Fantasies Unbound-paranormal M/F or Hot Summer Fun Anthology-M/M).Please comment to be entered on my posts during the hop-June 29th to July 1st for my prize giveaway. 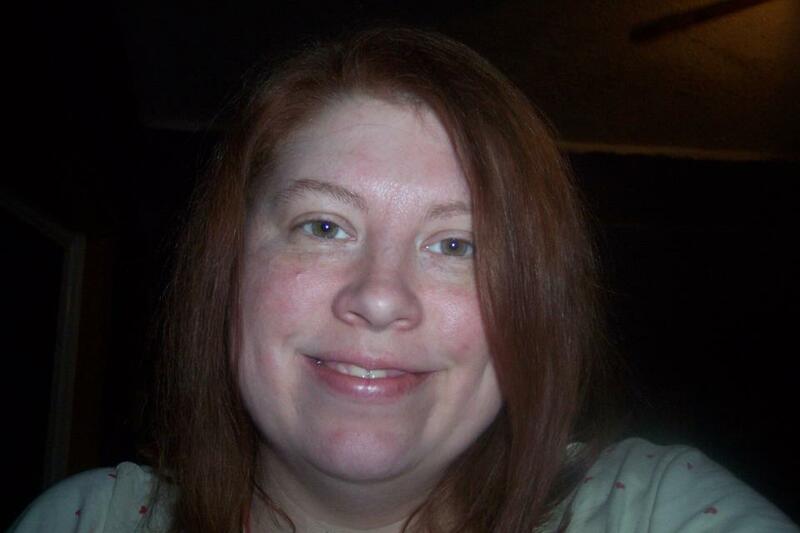 To enter NNP’s contest, http://naughtynightspress.blogspot.com/?zx=1366328f80ecd0d9 you need to go to their blog to enter for their prize giveaways. In keeping with the celebration excitement, I would like to offer a giveaway of my debut novella titled, Let's Keep On Truckin'. In the candy aisle, I felt someone looking at me. Turning my head, I gazed past a man standing near me. 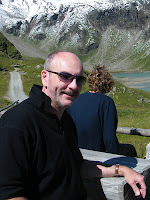 A very nice looking man, but I ignored him, or at least I tried to. His green eyes locked on mine. Warmth and tingles spread throughout my body causing my knees to go weak. The man’s face held sharp features, and his sultry lips rewarded me with a demure smile. I would’ve loved to feel them on mine. He stepped closer to me. My heart rate spiked. Nodding to the shelf in front of us, he focused in on something and reached for it. He stopped mid-reach, and our gazes met again. His arm lowered. I knew I couldn’t look away, and I had a feeling he couldn’t either. I bit my bottom lip, and I saw him take notice. He leaned in close to me, mouth parted to speak. “Excuse me,” a voice requested. We stepped away from each other so the woman behind us could retrieve candy from the shelf. She sure took her time. Separated by the woman, I kept glancing over at the man. He, too, continued to gaze my way. There was something about him; he made something stir inside me. *Available for purchase from many online eBook retailers including: Decadent Publishing & Amazon. ~Please continue on the NNP Blog Hop and check out the other contests and giveaways by clicking on this link: NNP Blog Hop or you can just check out the links below. What is a Liebster Blog Award, you say? The Liebster Blog Award is an award given to blogs that have less that 200 followers. It's a way of generating some love and some traffic for smaller bloggers. 4. my father, brother, and husband (and a few friends from school) were in the military all at different times. 11. I love my life! 1) Aside from what you're doing, what is your dream career? Something, anything, where I can hob knob with Joe Manganiello. 2) Who is your fave literary hero ever? I don 't have just one. I have dozens! 3) If you could be anywhere right now, where would it be? On a tropical beach with white sands and clear blue water in one of those on the water bungalows. 4) What is your favorite drink? 5) Who inspires you most? 6) Cat or dog person? Cat! 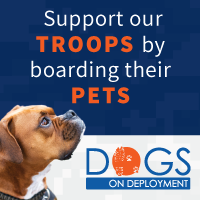 Dogs are cute but so much more work lol. 7) If a vampire offered you eternal life, would you say yes or no? I would say no, unless all of my friends and family could live eternally with me. 8) Which paranormal creature would make the best mate for you? 9) Who's your favorite movie actor? For looks see question one, other than that I would say: Tom Hanks, Denzel Washington, and Tom Cruise because I've enjoyed just about all the movies they've been in. 10) If you had to pick either Italian or Chinese food, which would you pick? Italian! (the real Italian food from Italy, not the american style). 11) Would you ever consider plastic surgery? Yep. I would love a breast reduction. And I wouldn't be opposed to getting my lower lids lifted, my skin there is so thin and sad :( If I had the money, wasn't scared of surgery, or pain, I would have done both by now! Thank-you all, and have fun! 4. What time of day are you most creative? 5. Last movie you've watched in the movie theater? 8. My son says that I should ask if you like to wear socks? Whew, that was a lot of work! But it was fun =) Thanks, Rosanna! 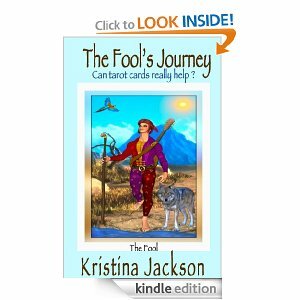 My guest blogger is Kristina Jackson, author of The Fools Journey. 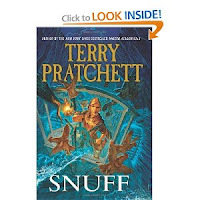 Today she discusses Snuff, and no not the pulverized tobacco product, but the novel Snuff by Terry Pratchett. Kristina discusses how it just magically jumped into her shopping basket! It's funny how books can do that. Last week I was talking about Terry Pratchett, this week I am reading him. 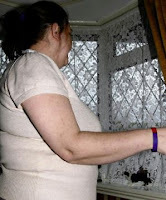 I took the wheelchair to Tesco, for the first time on my own a few weeks back. There at hand height was Snuff, for £2.99. I swear it jumped into the basket on my knee. For the last year at least I have been reading nothing but Indie authors. But this book kept calling to me. The siren call was too loud. I gave in. When Commander Vimes, the never off duty policeman, is forced to go on a restful holiday to the country. He discovers an ancient crime more terrible than any murder. He finds himself in a situation almost totally out of his control. But where there is a crime, there is a chase. Where there is a crime there needs to be a punishment. So far this book is proving hard to put down. When I am also reading true crime and smuggling books. Let alone the local history ones I have. It proves what a good book this is. ***Have you read Snuff? If not what was your most recent read?